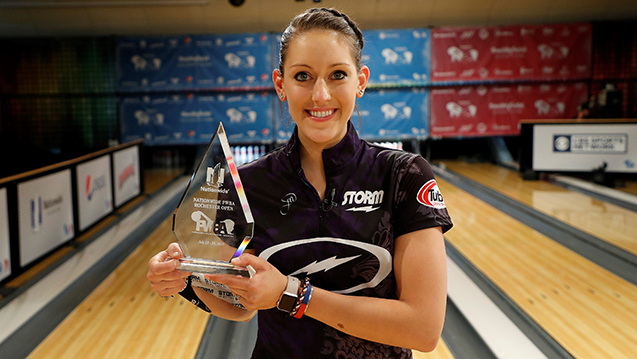 Liz Johnson used a combination of the Storm Hy-Road X and Roto Grip IDOL Pearl to win the title. Six players qualified for the Tour Finals by competing in WBT events around the world throughout the year. The top three players who earned the most points earned a spot in the TV finals to bowl for the title. The top three men who qualified were EJ Tackett, Anthony Simonsen, and Stuart Williams. The top three women were Liz Johnson, Danielle McEwan, and Daria Pajak. 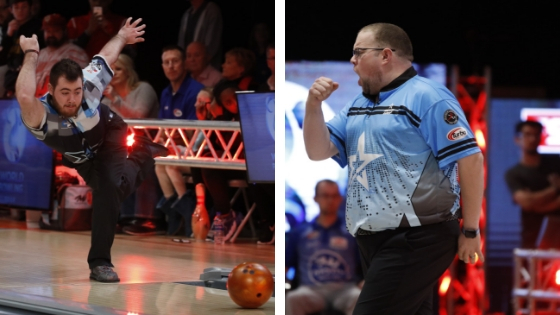 “Every title is special," Johnson said in the PBA Press Release. "This was my sixth WBT show, but this is my first win." Team Roto Grip players, Anthony Simonsen and Stuart Williams faced tough matches against EJ Tackett. Both matches were decided by just one pin. Williams was defeated 243-242 and Simonsen was defeated 233-232 in the title match. Liz Johnson, Anthony Simonsen and Stuart Williams are currently competing in the PBA World Series of Bowling this week in Detroit. All qualifying rounds can be watched live on Flobowling all week long. Danielle McEwan will join Johnson, Simonsen, and Williams at the USBC Masters March 26-April 1. To learn more about the athletes on Team Storm click here. BRIGHAM CITY, Utah – Storm Products is excited to announce changes to the Storm Tour Team. 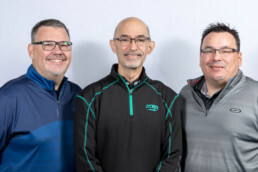 In 2019, Del Ballard Jr. will serve as PBA50 Tour Manager and Performance Bowling Consultant, Jim Callahan will be the PBA (Professional Bowlers Association) Tour Manager, and Mike DeVaney will be the Professional Women’s Bowling Association (PWBA) Tour Manger. Through these new positions, our Tour Team will communicate with players regarding their training and goals throughout the year. “We are excited for the changes moving forward,” Gary Hulsenberg, Vice President of Business Development said. “We invest a great deal on the tours to give the players who choose to throw our products the best chance for success. Elevating proven tour reps to the roles of Tour Managers will allow them the time to cultivate stronger relationships with players on their assigned tours all year long," Hulsenberg said. Ballard has been bowling his entire life. Though he’s 55 years old, he says that he’s been in the industry for 56 years. His mother was an avid bowler when she was carrying him. Ballard has 17 PBA Regional titles and 13 PBA titles including four major titles. He has been inducted into the Dallas USBC, Texas State USBC, USBC National, and PBA Hall of Fame. He joined the Storm Family in 2005 as the Roto Grip Regional Sales Manager. In 2011, he transitioned to the role of Storm Tour Representative. He has helped countless players earn titles over the years and will continue to assist the greatest players in the world in his new role. 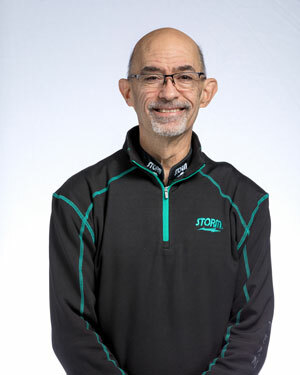 As PBA50 Tour Manager and Performance Bowling Consultant, Ballard will be responsible for all the Team Storm touring players on the PBA50 Tour, ensuring they have the equipment they need in place, and will help analyze their games year-round to prepare them for competition. As Performance Bowling Consultant, he will also assist our team at headquarters planning and securing players on all tours. With more than two decades of experience, Callahan will be a great asset to our Team Storm players competing on the PBA Tour. 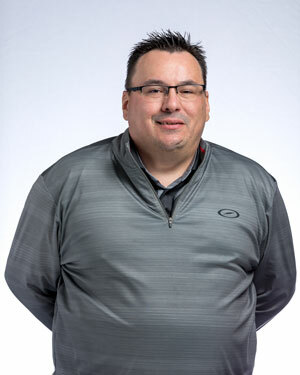 Since joining Storm in 2007, he has served as a regional sales manager, served as a PBA, PBA50, and PWBA tour rep and also has provided technical support to the Singapore National team. In his new role, he will be responsible for assisting players with equipment during competition, analyzing their physical games, and providing programs year-round to support the growth of the touring players. “I am really excited to get this exciting new opportunity,” Callahan said. “I am looking forward to continuing the long-standing tradition of excellence on the PBA Tour, in addition to creating a new culture for our outstanding group of young players so they can achieve their goals as well," Callahan said. DeVaney, a two-time PBA Champion, joined the Storm Family in 2016 as Tour Representative for the PBA, PBA50 and PWBA Tours. 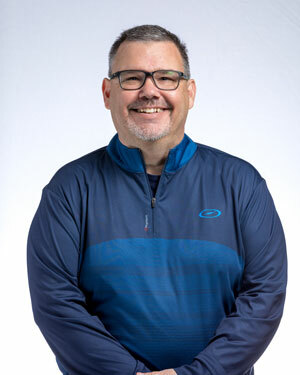 In his new position, DeVaney’s focus shifts primarily to the Team Storm players competing on the PWBA Tour and will be responsible for all aspects of the tour including ensuring equipment is in place for competition and ensuring the growth of the Team Storm players. “It is my goal to enhance the tour experience for our staff and to give them more than what they have ever seen from us before,” DeVaney said. “Obviously the goal is to win tournaments, but how we get there is my focus." "I am honored to be given the opportunity to work with the best players in the world who are using the greatest brands in the world,” DeVaney said. In addition to their main responsibilities, all three managers will collaborate together and support each tour throughout the season. Though she remained in the top 5 throughout most of the tournament, McEwan jumped into the lead after the fourth round with a score of 1381 including 48 pins handicap to earn the top seed for the stepladder finals. As the top seed, her opponent was required to beat her twice to win the title. Williams won the first game 232-218 but McEwan went on to defeat Williams 225-179 in the second game. She will also add 400 WBT ranking points to add to her current lead in the race for the WBT Finals. Storm Tour Representative, Tim Mack, spent the week working with the Team Storm players in Thailand. Mack who has been traveling the world for many years was truly impressed by the talent of the international athletes in the field at this event. He shared his thoughts about the exciting stepladder match. 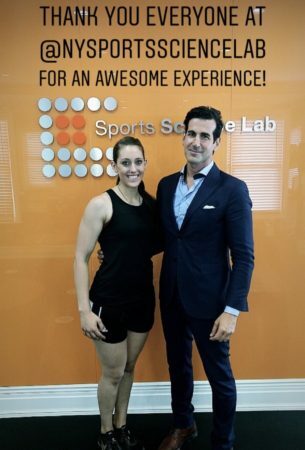 McEwan recently started training at the New York Sports Science Lab to prepare for her busy summer on the lanes. Read more about her work in the lab here. Throughout the week Team Storm players shared several achievements with the world including 300 games by Timmy Tan of Malaysia, Marshall Kent, and Francois Lavoie. 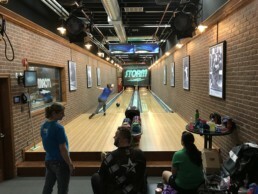 30 of the 39 players who made the finals chose to throw Storm and Roto Grip. 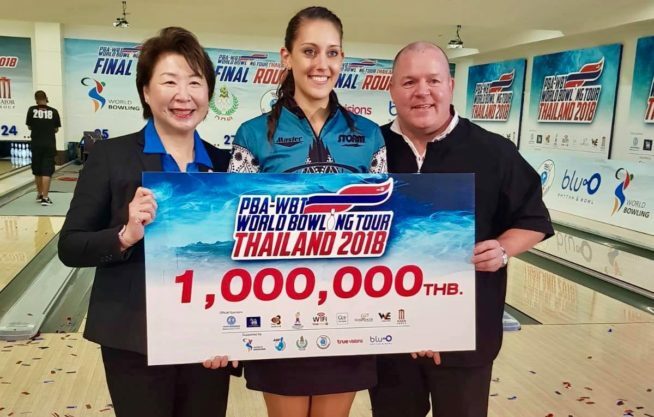 The PBA-WBT Thailand event is the 10thstop of the 2018 WBT Tour. The top three men and top three women in the annual points list will compete in the WBT Finals in January 2019. For more information on the World Bowling Tour, click here. Next on the schedule for McEwan, she will travel with Team Storm for the 2018 Samho Korea Cup. Tonight at the PWBA Tour Championships the #2 seed, Danielle McEwan, will take on Maria Jose Rodriquez in the Semifinal Match on CBS Sports at 8pm Eastern Time. 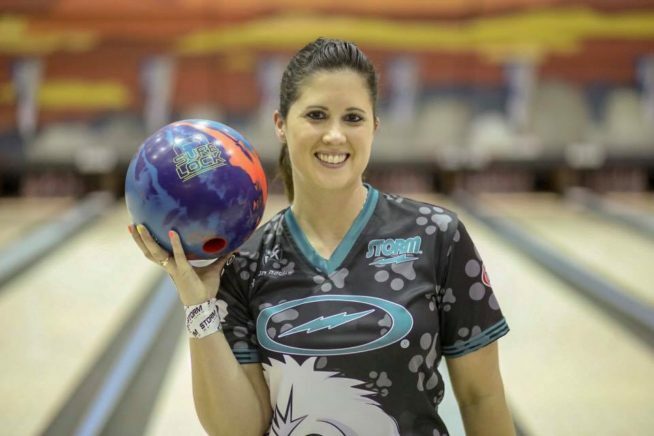 Prior to the start of the week, we talked to Danielle about some of the work that she’s been doing off the lanes to prepare for the 2018 PWBA Season. This summer, Danielle spent a lot of time traveling to bowl. 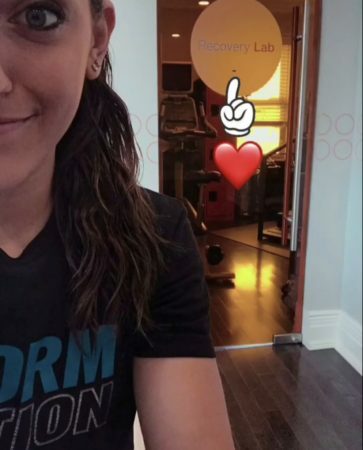 During the weeks she was home, she spent some time training at the New York Sports Science Lab (SSL) to better understand ways she can train off the lanes. 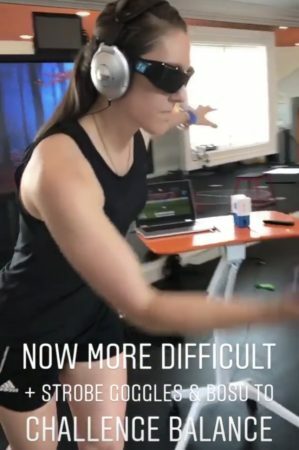 You can WATCH some of what she was working on in this video from the SSL. Find out what Danielle has been up to in our interview below. What’s your favorite part of training at the SSL? I love training at the Sports Science Lab for so many reasons. The trainers are awesome, they are so supportive and are always looking for new ways to learn about and help me in my sport. The facility is so cool, they literally have every piece of technology an athlete would ever need. From training tools for your brain, to physical tools for your body, to recovery- they have it all. In what ways do you feel it’s improved your bowling game? The biggest way I’ve seen it improve my bowling game is mentally. In the beginning of the season, I was really struggling with keeping a quiet mind and staying focused. At the lab, we did a lot of work that focused on the task at hand and eliminating distractions and I instantly saw a change on the lanes. What types of exercises do the trainers work with you for bowling? One of the first things we noticed through my physical evaluation was that my hips were really tight and imbalanced. They gave me a bunch of stretches and exercises to add into my normal fitness routine to help focus on this. What exercises do you do to help with your mental game? We do a lot of sensorimotor skill exercises that train my brain to focus on the task at hand, avoid distractions and make decisions quickly on the fly. We also do a lot of rhythm drills that are bowling specific. This helps with both timing and keeping a clear mind. As soon as you start overthinking the situation and get off timing, it’s impossible, just like overthinking a shot in bowling! What did they discover in their analysis? One major thing that they noticed on my body is how imbalanced I am, especially in my hips from my left to right side. I’ve know, and have been working on this for years. The motion that our sport demands us to do over and over again makes it very difficult to avoid this issue. I cannot stress enough to anyone who bowls a lot, at any level, how important it is to take care of you body and to train outside of the bowling center. It is so important to keep your body as balanced as you possibly can. What kind of exercises are you able to do while traveling or at home that you learned at the SSL? I started working with the SSL during the PWBA season, therefore, most of our focus has been on recovery and mental game. They have taught me a bunch of different ways of stretching to add to what I already do that have helped out tremendously. As the end of the PWBA Tour Season nears, what are your bowling plans for the end of 2018? Even though the PWBA season is ending, the end of my personal bowling season is no where in sight. I will be going overseas immediately to compete on the World Bowling Tour, as well as a few additional international events, followed by competition for Team USA and then competing with the men on the PBA Tour. 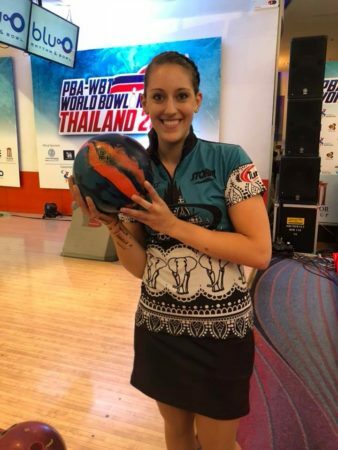 To follow updates on Danielle and all the other #TeamStorm players visit pwba.com. As the 2018 PWBA season winds down with one last event, the Team Storm and Team Roto Grip ladies are raring to go for the Tour Championship in Richmond, Virginia on September 16. After 13 events, our staffers have acquired 5 wins (3 coming in the last month), 26 top 5 finishes, and 45 top 10s on the remarkably talented PWBA Tour. Danielle McEwan, Liz Johnson, Bryanna Cote, Rocio Restrepo, Kelly Kulick, and Lindsay Boomershine will head to Richmond feeling rested and ready for one last chance at coveted title in the unique Tour Championship season finale. 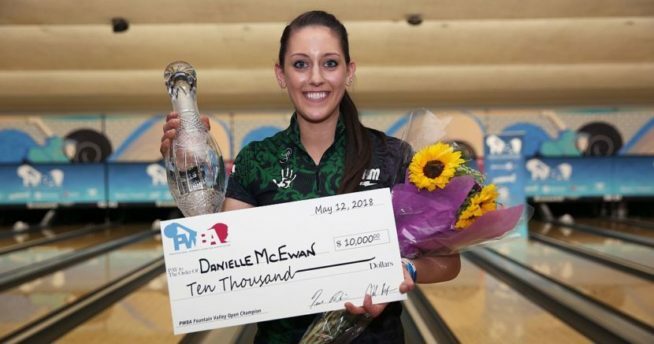 DANIELLE MCEWAN- As the #2 ranked bowler on the PWBA, her year has been solid from start to finish and she’s not slowing down. After a third place finish in the Players Championship, she headed home for a full week (a rare thing for Danielle) to rest and recharge and is headed to Sweden for the Lucky Larsen Masters tournament. HIGHLIGHT– “The highlight of my summer so far has been winning in Fountain Valley. At the beginning of the season, my grandma was sick and in and out of the hospital. This was obviously very difficult as myself, my mom, and my grandma are very close. My win in Fountain Valley was the day before Mother’s Day, so even though a win alone would be a highlight for the summer, the fact I was able to dedicate it for them and have my grandma home to watch on the computer really made it so much more special,” McEwan said. LIZ JOHNSON- After having captured 2 titles in the month of August, Liz Johnson will head to Sweden for the Lucky Larsen Masters to stay at a competitive level before the Tour Championship. "I’ll have a few days at home when I return from Sweden before I drive to Richmond and I will clean up my equipment and choose my arsenal for the tournament." LIZ’S EQUIPMENT- “The balls I threw the most this summer were my trusty IQ Tours, my Phaze II, Idol, and Intense Fire the last few weeks. I won the Luci Doubles throwing an Idol on one lane and the Hustle Ink on the other”, she added about her arsenal. BRYANNA COTÉ– With 3 TV final appearances including 2 as the #1 seed, 2018 has been a career best for Bryanna. “The highlight of my summer was winning the GoBowling.com 10K Challenge and making it back to the Tour Championship. Between now and the Tour Championship, I’ll be at home bowling some local tournaments on sport conditions and spending time in the gym to get ready,” she said. Being strong and fit is a big key on the PWBA where the format includes 18 games a day at some tournaments. “Weightlifting and cardio are keys to maintaining the stamina to bowling 16-18 games in one day. If my body wasn't physically strong enough to endure those long days, I would be done before even starting,” Coté said. BRY’S EQUIPMENT– “My favorite ball of the summer was the Roto Grip Hyper Cell Fused. I drilled three of them, all with difference purposes. To me, this ball can be utilized for many conditions. I have a pin down one with surface for fresh conditions, then a pin up with surface to ball down to when the pin down reads too early. And finally, I have a shiny pin down one that I’m able to use when the lanes break down later in the blocks. My most recent favorite is the Roto Grip Winner. 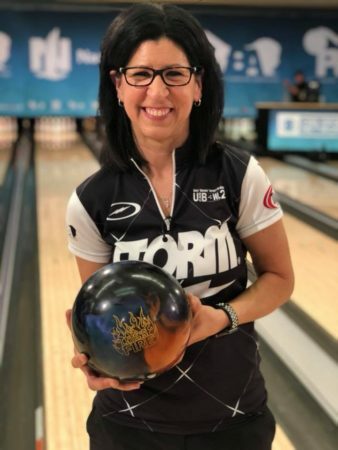 I used this at the PWBA Player's Championships on some tough conditions and it allowed me to be left and provided enough down lane motion to continue through the pins." ROCIO RESTREPO – The grueling schedule of the PWBA Tour can certainly take a toll on even the fittest athletes. Rocio had a couple challenging weeks in the middle of the season that tested her fortitude. She started feeling run down and weak and spent some days off in the hospital. After her trip home to Colombia and regaining her strength, she captured the BowlerX.com PWBA Twin Cities Open in week 11, backed that up with another TV show the next week in Columbus and ended with a solid 13thplace finish at the Players Championship. She has strength and momentum heading into Richmond. KELLY KULICK – There’s something to be said for peaking at the right time and Kelly is doing just that. Last week’s performance at the Players Championship was her best showing of the year and if the pins had fallen a little differently, she might have just brought that trophy home to New Jersey but proudly settled for a respectable 2nd place finish. “It’s the best I bowled on TV in a long time and I left nothing on the table,” Kelly said. LINDSAY BOOMERSHINE- With 3 Top 5 finishes in 2018 along with many ups and downs, the roller coaster continued for Lindsay when she had a huge week at the Players Championship, leading qualifying, making the show and finishing 5th but falling one spot short of the Tour Championship. But 2 days later, she received a call from PWBA Tournament Director, Tennelle Milligan only to say that Shayna Ng, from Singapore declined her spot in the season ender which allowed Lindsay the final position and now she’s headed to Richmond. For more information about the upcoming PWBA events visit PWBA.com and be sure to watch the ladies LIVE from Richmond on Bowl TV. 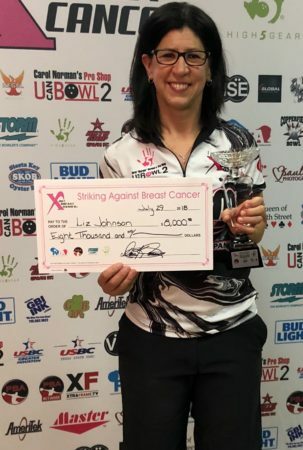 Liz Johnson was on fire last week at the Nationwide PWBA Columbus Open! She threw 23 strikes over the course of her three matches on CBS Sports to earn her 24th professional title. Saturday was a great day on the lanes for Johnson. Based on what she saw during qualifying on Friday, she made a few changes to her release. She started the final round of qualifying on Saturday with a 289 and stayed consistent for the remainder of qualifying. She earned the third seed for the LIVE TV finals. In the first match, Clara Guerrero defeated Jordan Richard. Guerrero would move on to face Johnson. With her Intense Fire in hand, Johnson started the match with seven strikes on her first eight shots. She defeated Guerrero 234-205. Johnson moved on to face Team Roto Grip player, Rocio Restrepo. 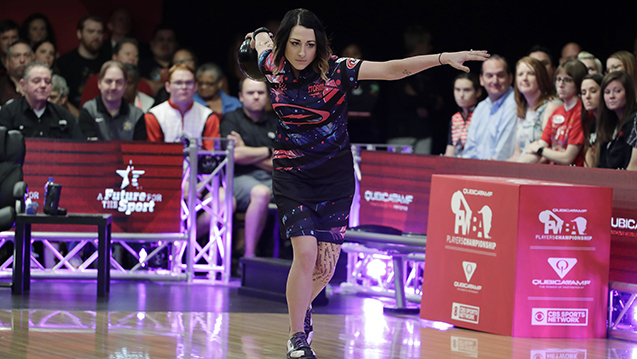 Restrepo who earned her fourth career PWBA title at the Twin Cities Open this month had another strong week in Columbus leading the second round of qualifying. Johnson and Restrepo kept the match close through the tenth frame. Restrepo struck twice in the tenth frame forcing Johnson to do the same. She did, defeating Restrepo 224-215. In the final match against Shannon Pluhowsky, Johnson threw the first nine strikes. She left a 10 pin in the tenth frame but won the final match 278-202. The ladies of Team Storm will compete in the QuibicaAMF PWBA Players Championship at Plano Super Bowl. Qualifying will air on BowlTV. Visit PWBA.com for the full schedule. Story from Bill Vint, PBA Media Relations. Link to original story on pba.com. LOS ANGELES and CHICAGO – The Professional Bowlers Association (PBA) and FOX Sports today announced a multi-year, multi-platform agreement making FOX Sports the new television partner for the Go Bowling! PBA Tour starting in 2019. The package will bring a substantial schedule of live PBA events to television, including prime time events and a new bracket-style, multi-week PBA Playoffs tournament that concludes with a unique PBA championship finale. The announcement was made by PBA CEO and Commissioner Tom Clark and William Wanger, FOX Sports Executive VP of Programming, Live Operations and Research (see photo below). The PBA was represented in the transaction by Ed Desser of Desser Sports Media (www.desser.tv). 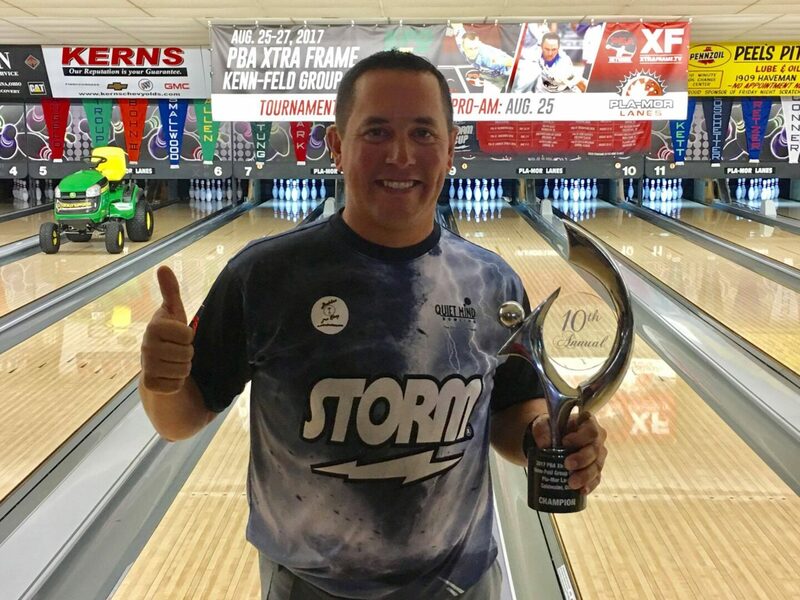 It was an all Storm final at the PBA Xtra Frame Kenn-Feld Group Classic at Pla-Mor Lanes in Coldwater, OH. In the championship match Rhino Page defeated Chris Via 190-173. The players were tested with challenging lane conditions throughout the weekend. Players who were able to control the pocket and make their spares were more likely to survive each cut. Team Storm member, Via, was the tournament leader after 17 games of qualifying for the finals with a score of 3,660. Page, qualified for the stepladder in second with a score of 3,520. This was the 10th Annual Kenn-Feld Group Classic in Coldwater, OH. For 9 years it's been a well-attended regional event but this season Coldwater, OH hosted it's first national PBA Tour event. It was also the final event of the Xtra Frame Storm Cup series. Rick Hartings, the owner of Pla-Mor Lanes, puts together a weekend full of events for the players and fans to participate in which includes two Pro-Ams, a golf outing, and more. 96 bowlers traveled to Coldwater to compete for the $10,000 first-place prize as well as a share of $50,000 in bonus prize money from the seven-tournament XF Storm Cup Series. There were also 86 local sponsors who contributed money to the event this year. How much does this win mean to you? Of course, every win means a great deal but this one is very, very special to me. I've come here, to Coldwater, for 6 years now and it's just the greatest place on earth. It's the toughest building I've ever bowled in. The fans are just phenomenal. It's so much fun outside of just the bowling. It's not just a bowling tournament it's an event. To be here with so many near and dear friends after these last 6 years and be able to bring home the win, I couldn't be more grateful. What balls did you use? Before I came here, I pondered over and over and over what balls to bring. I even called my buddy Cody who lives here. It seems like defensive balls have always been the right play for me. This week I threw the Storm Ride. It doesn't seem like much of a ball but it's awesome and kept me in play. I managed the pocket. I didn't bowl more than 228 but I only had 3 games under 200. When you do the math of can I do 260 140 or 200 200 I chose to go the steady eddy route. Had that ball not worked or as you saw in the final match I had to go to a Dare Devil Trick. That is still one of my favorite balls ever. What's next on the schedule for you? I get a couple of weeks off. Go home and work on the game a little bit more and then go to the Korea Cup followed by the Storm Fair. Konnichiwa to all of you in Japan! I can't wait to be there!